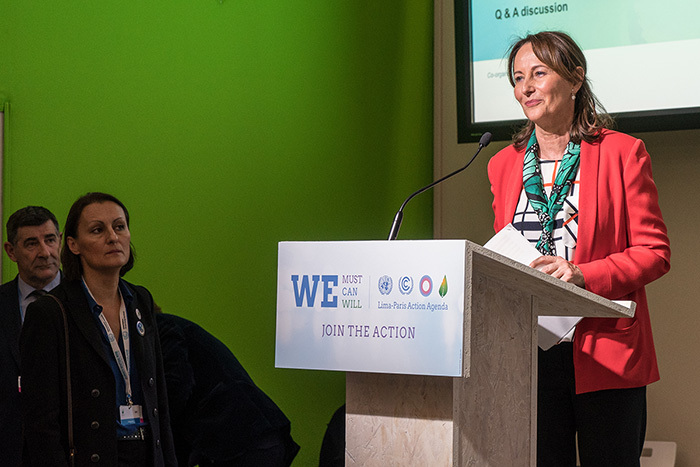 Ségolène Royal, Minister of Ecology, Sustainable Development and Energy, France, noted that although they are short-lived, the effects of SLCPs can be felt in the long term. 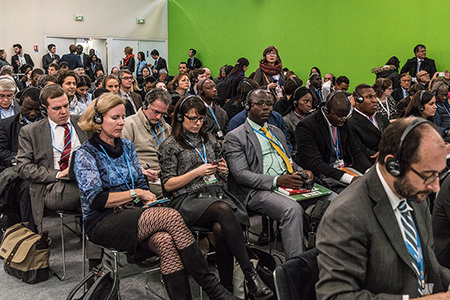 The Lima-Paris Action Agenda (LPAA) Focus Day on Short-Lived Climate Pollutants (SLCPs) was held on 4 December 2015 in Paris, France by the Climate and Clean Air Coalition to Reduce Short-Lived Climate Pollutants (CCAC), and the UN Environment Programme (UNEP). 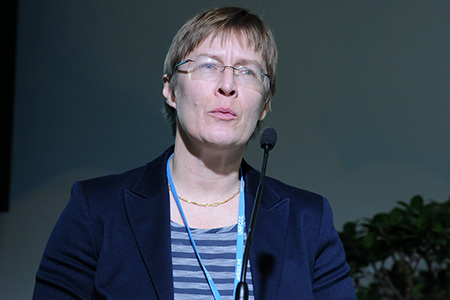 Held during the 21st session of the Conference of the Parties (COP 21) to the UN Framework Convention on Climate Change (UNFCCC), the SLCP Focus Day brought together policymakers, academia, representatives from the business community, and multilateral institutions to discuss measures to address SLCPs. 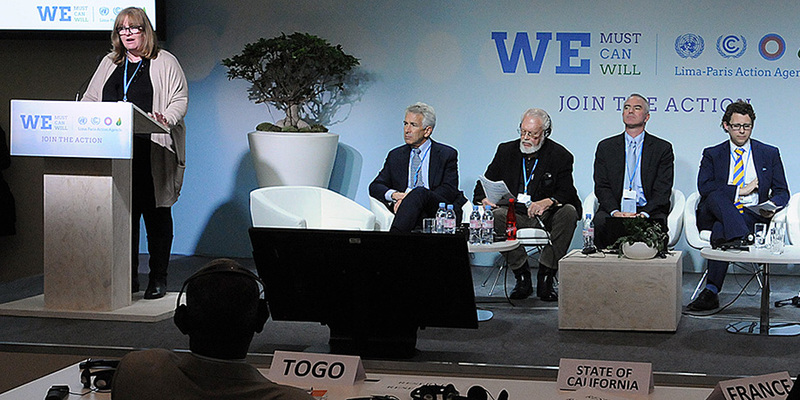 The LPAA is a joint undertaking of the Peruvian and French COP presidencies, the Office of the UN Secretary-General and the UNFCCC Secretariat. 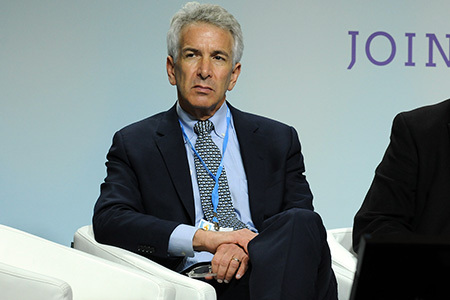 The LPAA was announced in December 2014, with the objective of strengthening climate action throughout 2015, at COP 21 and beyond. 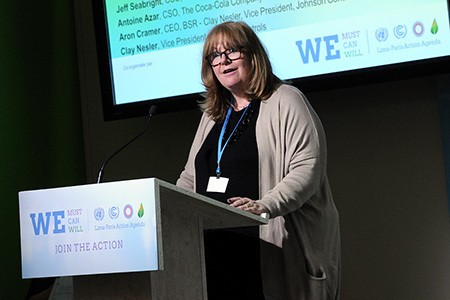 It seeks to demonstrate that the transition to low-emission and climate-resilient development is both urgent and feasible, with state and non-state actors creating and implementing initiatives and generating momentum for climate action in different action areas. 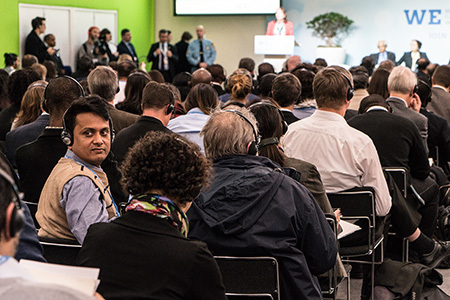 The SLCP Focus Day is one of the thematic focus events being organized under the LPAA to provide an opportunity for stakeholders to present issues in their action area and showcase solution pathways to tackle. IISD Reporting Services, through its ENB+ Meeting Coverage, provided a briefing note of the Short-Lived Climate Pollutant (SLCP) Focus Day. 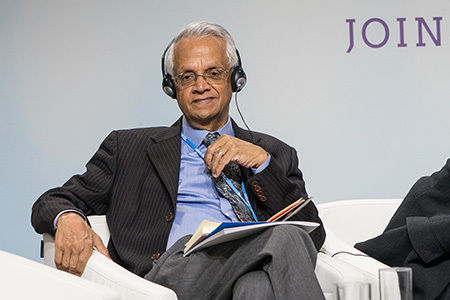 Panel (L-R): Ségolène Royal, Minister of Ecology, Sustainable Development and Energy, France; Veerabhadran Ramanathan, CCAC Scientific Assessment Panel; Elaine Fletcher, WHO; Ibrahim Thiaw, Deputy Executive Director, UNEP; and Mario Molina, Mario Molina Centre for Energy and Environment. 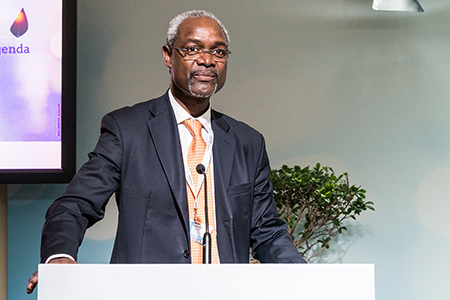 Ibrahim Thiaw, Deputy Executive Director, UNEP, lauded the work of the CCAC. 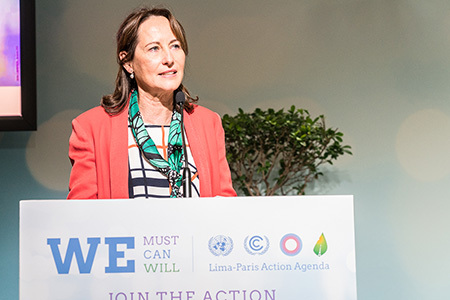 Ségolène Royal, Minister of Ecology, Sustainable Development and Energy, France, underlined the need to deepen the resolve to address methane, HFCs, ozone, and soot. 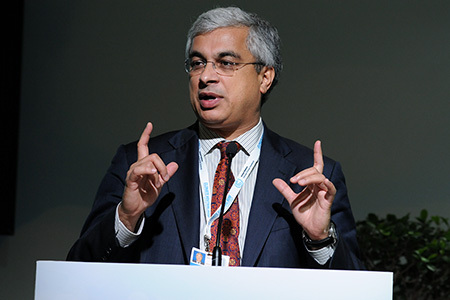 Veerabhadran Ramanathan, CCAC Scientific Advisory Panel, reported that every US$1 spent in addressing air pollution saves US$30. 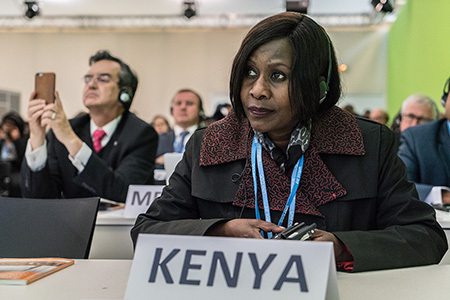 Judi Wakhungu, Cabinet Secretary of Environment, Kenya, reported that the East African Parliament adopted clean fuel standards in 2015. Panel (L-R): Sheila Watson, Director, FIA Foundation; Fred Krupp, President, Environmental Defense Fund (EDF); Durwood Zaelke, President, Institute for Governance and Sustainable Development; Drew Kodjak, Executive Director, International Council on Clean Transportation; and Roger Libby, Senior Director Corporate Public Policy, DHL Deutsche Post. Fred Krupp, President, Environmental Defense Fund (EDF), presented on the CCAC Oil & Gas Methane Partnership. Sheila Watson, Director, FIA Foundation, announced work on the role of lighter vehicles and two wheelers. Panel (L-R): Aron Cramer, CEO, Centre for Responsible Business (BSR); Kevin Fay, Executive Director, ICCP; Durwood Zaelke, President, Institute for Governance and Sustainable Development; Antoine Azar, CSO, The Coca-Cola Company; Clay Nesler, Vice President, Johnson Controls; and Jeff Seabright, CSO, Unilever. 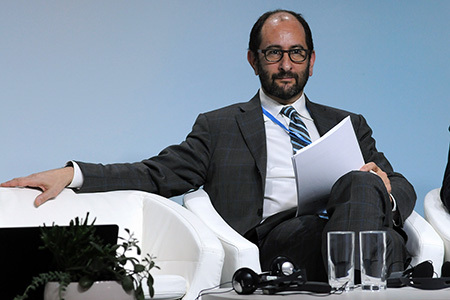 Aron Cramer, CEO, Centre for Responsible Business (BSR), announced new commitments from various business sectors on SLCP reduction. 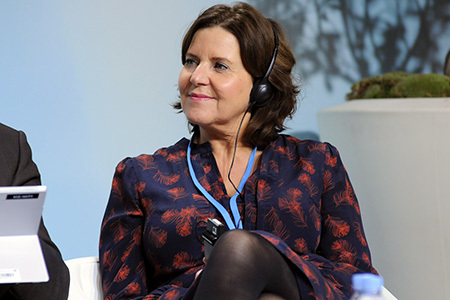 Hanne Inger Bjurstrøm, Climate Envoy, Norway and CCAC Co-Chair, underscored that the CCAC’s work is necessary to achieve the 2°C goal. Panel (L-R): Vikram Widge, Head of Climate and Carbon Finance, World Bank; Kate Hampton, Children’s Investment Fund Foundation (CIFF); Nancy Saich, Advisor, European Investment Bank (EIB); Karen Fiorini, Arctic Council; Christian Friis Bach, UN Economic Commission for Europe (UNECE); Hanne Inger Bjurstrøm, Climate Envoy, Norway and CCAC Co-Chair. Nancy Saich, Advisor, European Investment Bank (EIB), explained that the EIB will soon be presenting a report identifying potential for reducing SLCPs. Vikram Widge, Head of Climate and Carbon Finance, World Bank, presented the Bank’s initiatives to enhance action to reduce SLCPs.